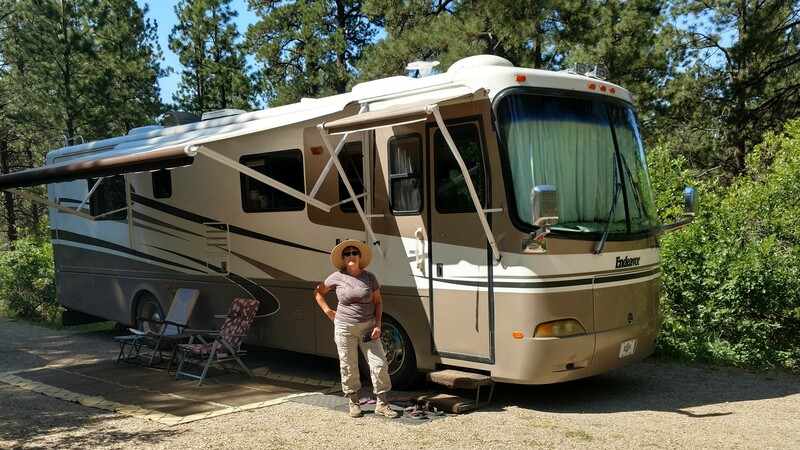 Our trip around the loop started west of Durango at Target Tree NFS campground. We traveled to Delores CO, home of the Galloping Goose a gasoline engine powered innovation serving the area during tough times. 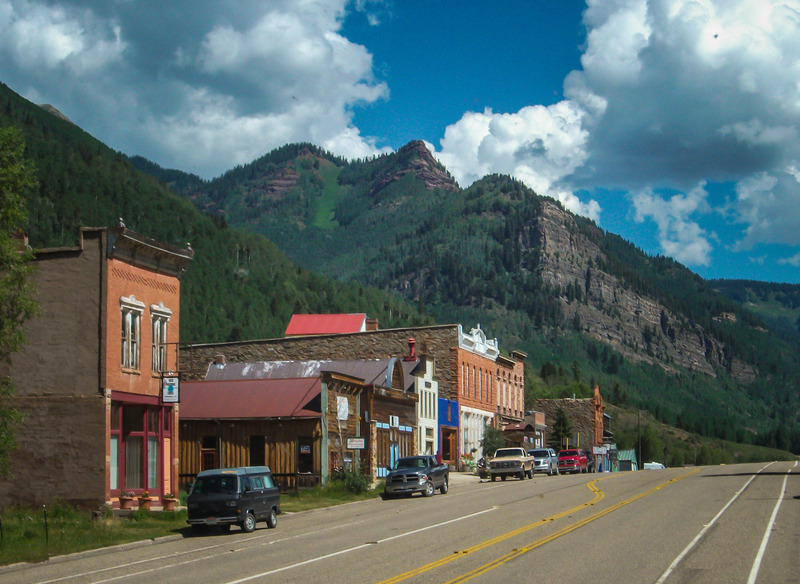 We then headed north through the tiny mining town of Rico before stopping in Telluride for lunch while watching a huge elk herd. 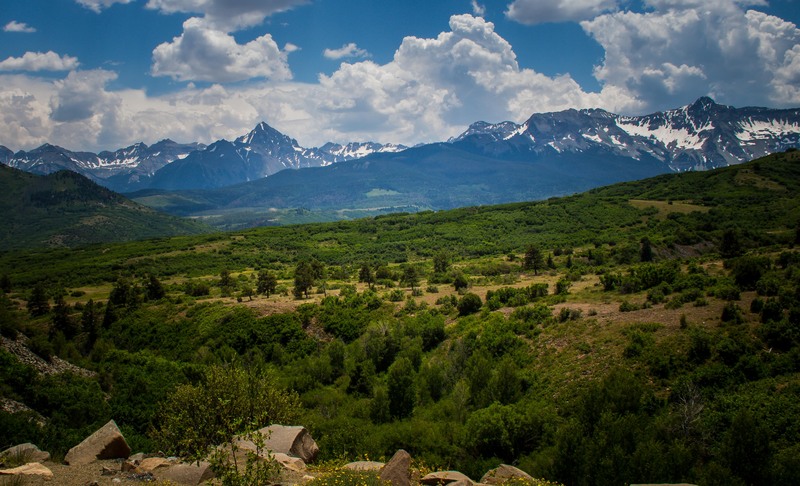 The loop then took us across Dallas Divide to Ridgway, where True Grit was filmed, Dennis Weaver built an experimental home and Ralph Lauren now lives. 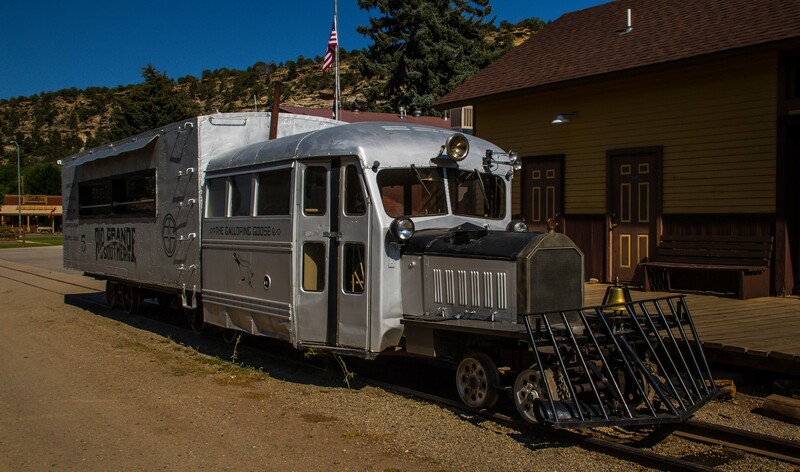 Ridgway is also home to a wonderful small railroad museum and another RGS motorcar. 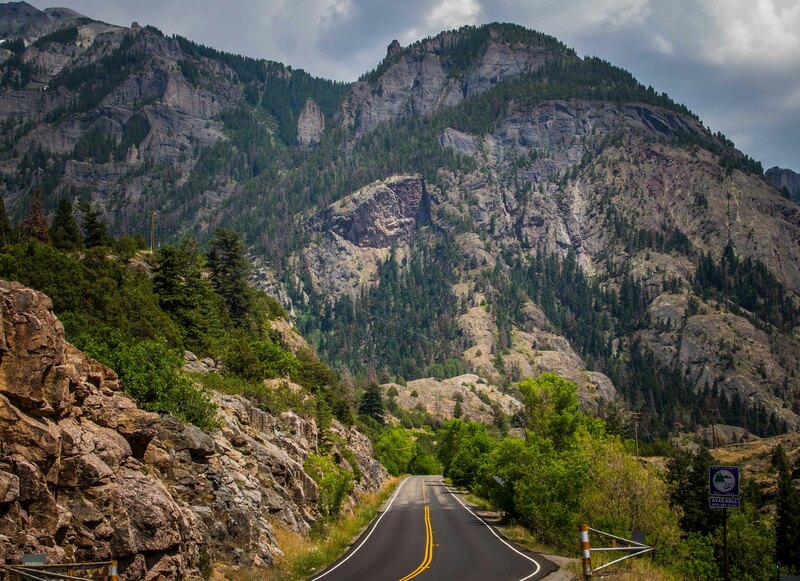 From Ridgway the route travels south to Ouray, the “Switzerland of America”. 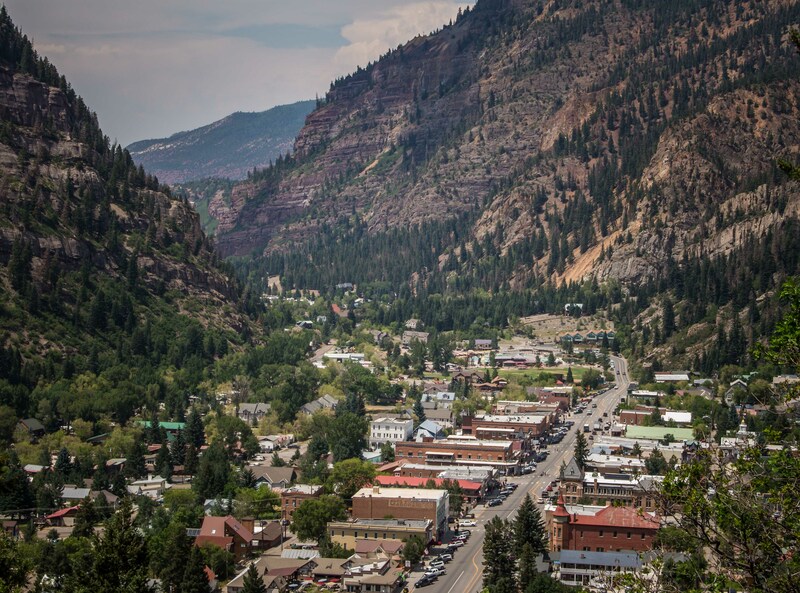 Ouray is a beautiful town nestled in an incredible valley. The road south out of the valley seems to go straight up hence the Million Dollar Highway. 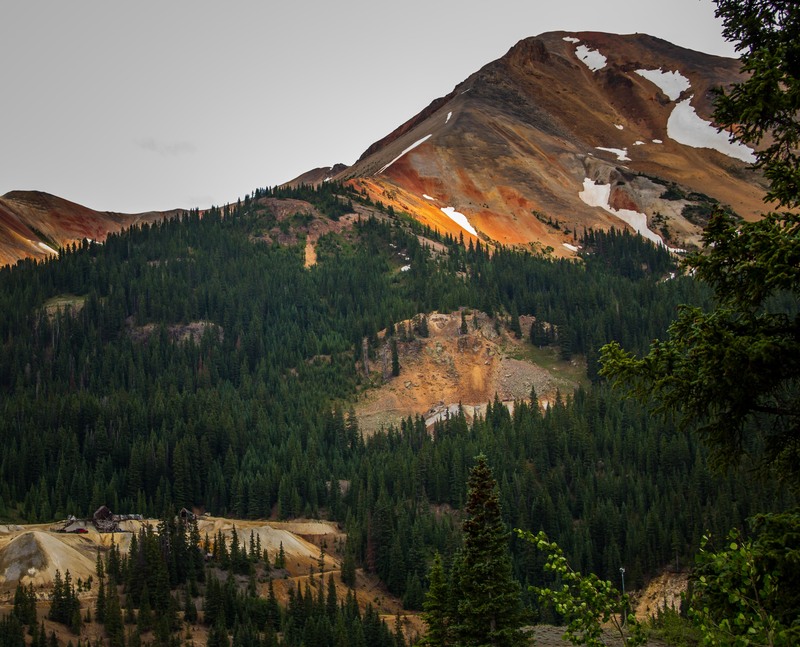 It is winding and narrow with sheer vertical drops and no guardrail – or as Dianne says “yellow line, white line, air.” It is a spectacular drive to Red Mountain Pass and many mines and mining towns. 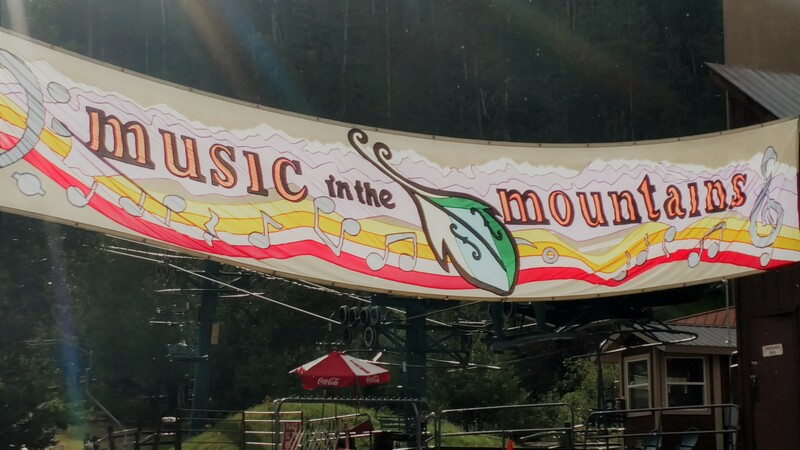 The route then drops into Silverton at 9318 feet. 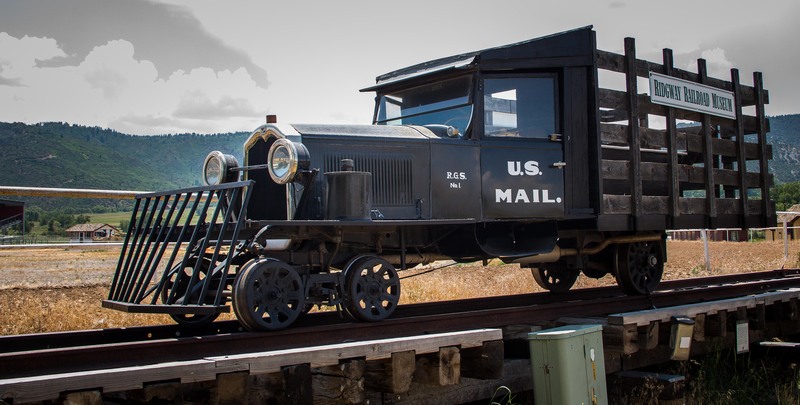 Silverton is the terminus of the Durango and Silverton Narrow Gauge Railroad and home to our friend Bob Boeder’s Train Art store. 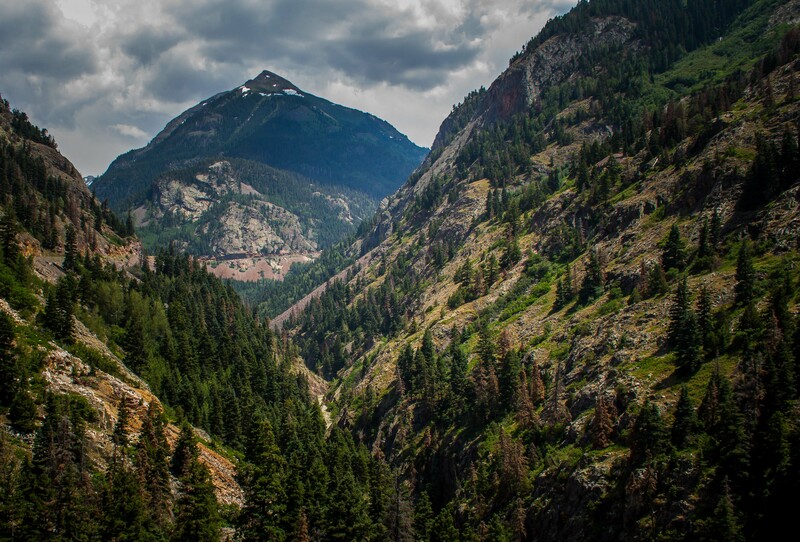 Weather note: it was 93 degrees in Ouray and 61 in Silverton. 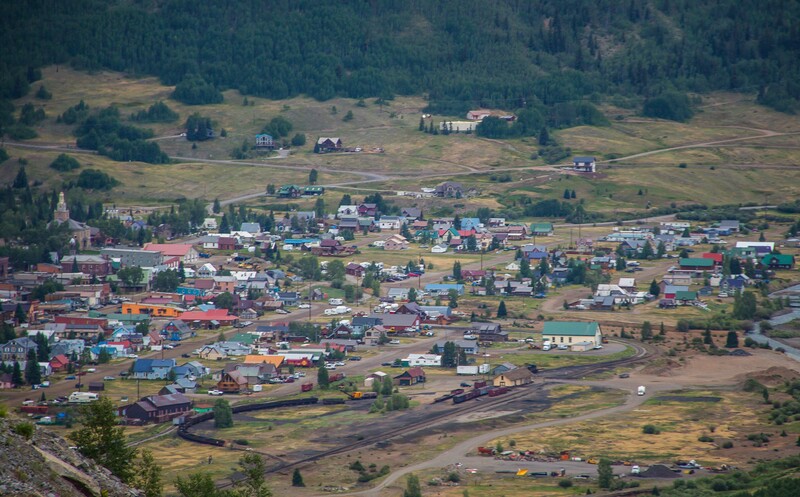 From Silverton the loop takes us south towards Durango again passing across Molas Pass (10910′), Coal Bank Pass (10,640′), past Durango Mountain Resort (Summer home of Music in the Mountains), Haviland Lake (a beautiful kayaking destination) and countless hiking trails. 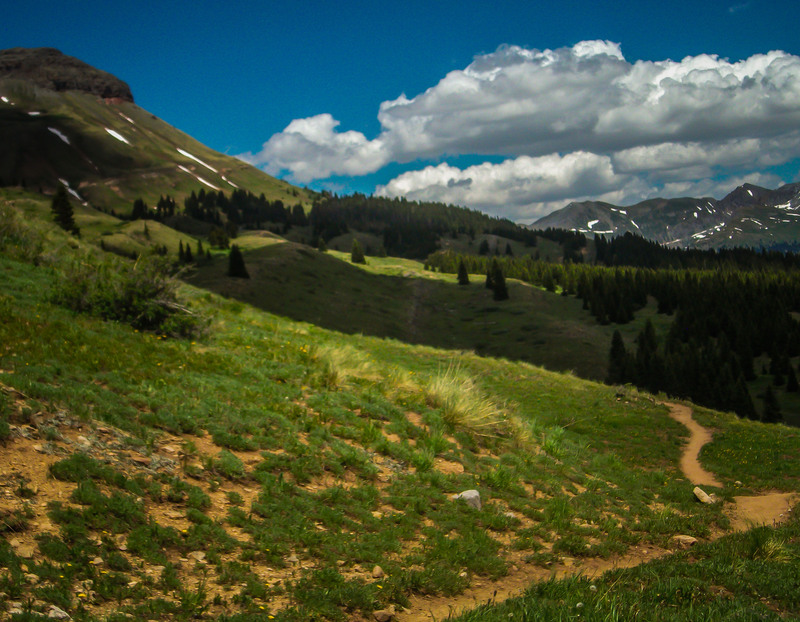 The Durango area has more than 29 trails many of which originate within the city limits. 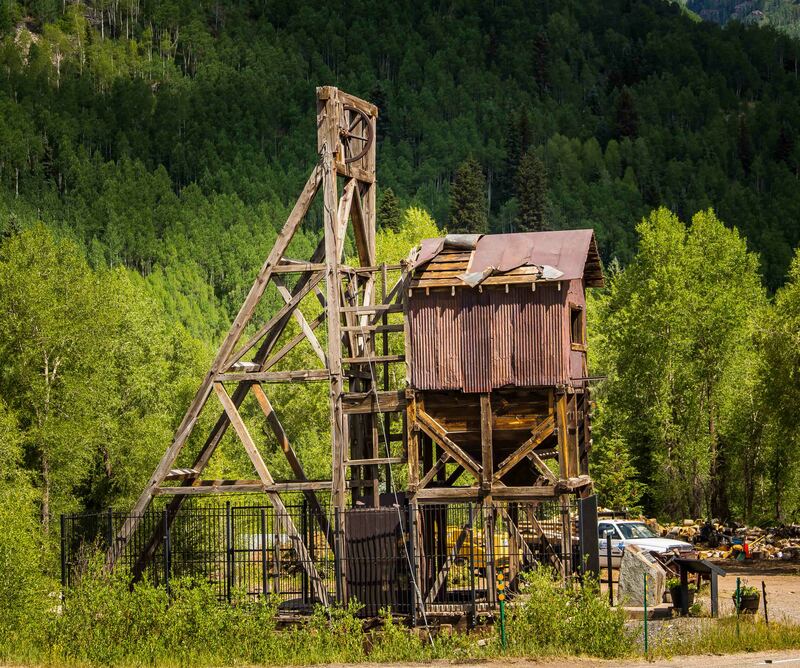 Our tour glided through Durango, past the steam train returning from its trip to Silverton and back west again to Target Tree, the Ute Indian campsite from way back. 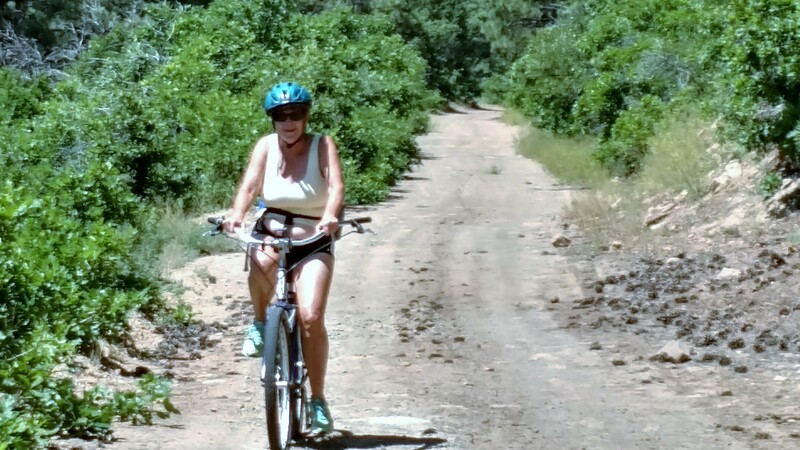 Target Tree features a hiking/biking trail on the preserved Rio Grande Southern RR right-of-way. So the story continues. History, photography and trains. 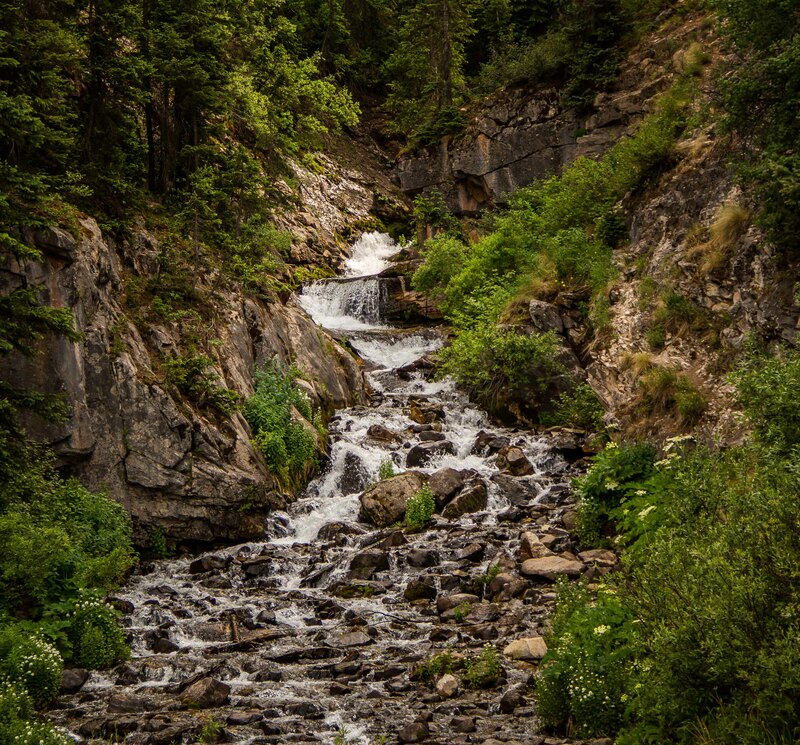 This entry was posted in Colorado, RV Travel, trains and tagged Delores CO, Durango and Silverton Narrow Gauge Railroad, Durango CO, Haviland Lake, Hiking, Kayaking, Music in the Mountains, Ouray CO, Ridgway CO, San Juan Skyway, Silverton CO, Target Tree Campground, Telluride CO. Bookmark the permalink. Amazing part of the US. 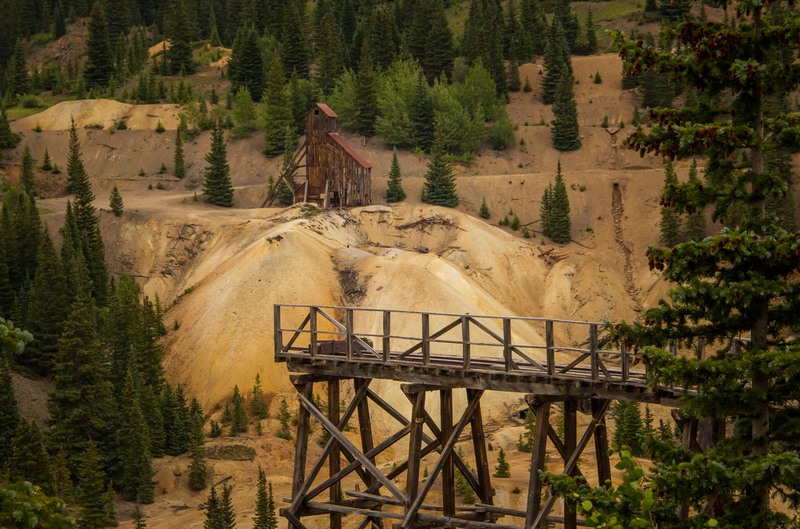 We really enjoyed our day on The Durango Silverton Railroad. Obviously you are “on a roll” and having a ball. !